The Stadtlohn, North Rhine-Westphalia, Germany, wastewater treatment plant (WWTP) is designed to handle wastewater from a population equivalent (PE) of 30,500. At present, a PE of approximately 21,000 is connected to the plant, roughly 15% of which is industrial wastewater. The plant’s two intermittent basins are activated sequentially (in cascade formation). Commissioned in 1991, the facility has undergone extensive modernization works over recent years. The Stadtlohn WWTP regulates nitrogen reduction using Liquiline Control. The control system regulates the air supply into the aeration basins, depending on the current concentration of nutrients in the wastewater. The customer required a control system that automated nitrogen reduction while also ensuring compliance with the official nitrogen value in the plant outlet—total nitrogen (TN) of less than or equal to 8 or 12 mg/L, depending on the time of year. It also was important that the control system would be able to function after the clarifiers were switched from parallel to sequential operation. The upstream basin is now used at the peak-load stage, while the second basin is subsequently used at the low-load stage. The nitrogen concentration in the outlet had to be as constant as possible during both peak- and low-load phases. Furthermore, the solution had to be easy to operate, to ensure that staff could make settings quickly and easily when on standby duty during the night and at weekends. Various services, such as consulting, design and configuration of the controller, process integration, and system training. The customer wanted the two aeration basins in the plant to be aerated individually. Sensors in both basins measure the parameters ammonium, nitrate and oxygen. Using the measured values, the Liquiline Control system configures a dynamic set point for oxygen: Depending on the ammonium concentration, the exact amount of air required for complete removal of the ammonium (NH4-N) is injected. This results in process stability while also optimizing the energy efficiency of the blowers. In addition, the controller dynamically adjusts the duration of the nitrification and denitrification phases. This improves the reduction of TN, ensuring that it remains at a constant level in the plant outlet. The ISEmax CAS40D sensor measures nitrate and ammonium. At Stadtlohn WWTP, a sensor has been installed in the outlet of each basin. The control system is designed in such a way that it can be operated using just a few settings. The effect of each setting is always obvious, making the process more transparent for staff. 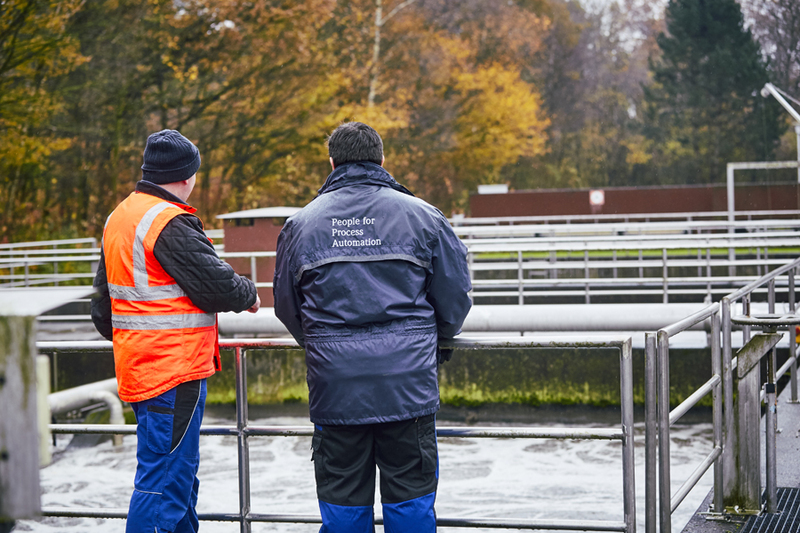 The customer worked with Endress+Hauser’s wastewater technicians to define all the requirements for the phosphate control system, ensuring that the Liquiline Control was adapted to the individual circumstances in Stadtlohn. This also entailed creating a graphical representation of the plant layout on the touch screen of the control monitor, allowing for clear and intuitive operation. In addition, Endress+Hauser’s service team supported the customer throughout the commissioning phase and provided the staff with training on the system.